The other day I recieved an email from a lovely lady called Sophie from Bamble Vintge who asked me if I was interested in doing a blog review of her Etsy shop Bamble Vintage. I was so delighted to think she had contacted me asking me to do a review of her Etsy shop and of course I was going to say yes! I have always been interesting in doing reviews for brands and small businesses but never really had the opportunity till now so this was just amazing! 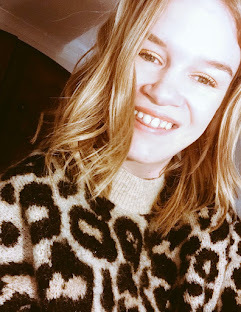 I love blogging because it's such a great experience and it enables you to discover new shops and brands like Bamble Vintage because I most likely would realised that Bamble Vintage exsisted until now. Here are some of the items that she has her on her shop, I actually couldn't help but the love everything that I was seeing. So it was very hard to pick out my favourite things. Vintage Rhinestone Necklace. I was over the moon and felt like I was watching a old movie with Marilyn Monroe or Lauren Bacall in. Something else that caught my eye was the Pretty Vintage Summer Dress. Perfect to wear for the summer and the pattern is so flowery and cute. Of course that was just a few items that I picked out but as I had before I loved every single item. I love Bamble Vintage so much as it is perfect for every single one of you! Soph has done a fab job over the last 4 years to create a wonderful shop! Make sure you go and check it out and don't forget it to show it some love! Please check out Bamble Vintage it is such a great Etsy shop!